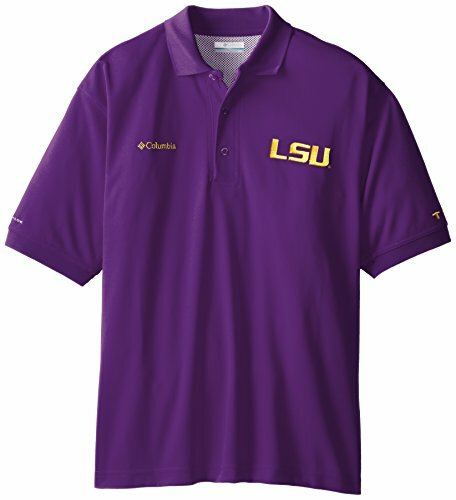 This LSU Tigers Men's polo is a must have for any die heart Tigers fan! Top of the World polos are always constructed with high quality materials and decorated using state of the art technology. 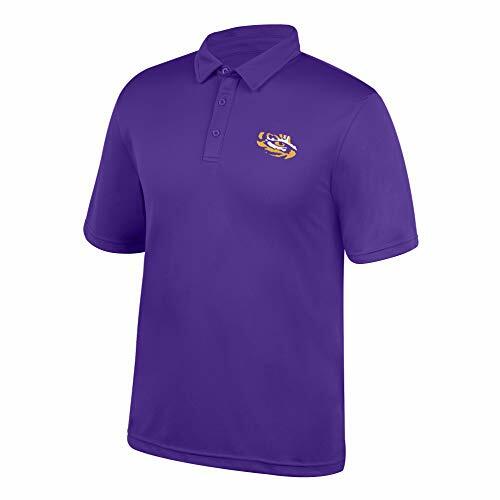 Each LSU Tigers polo is Officially licensed and suitable for any occasion. Represent your Tigers the right way with top of the World, Geaux Tigers. This LSU Tigers Men's long sleeve Tee is a must have for any die heart Tigers fan! Top of the World long sleeve tees are always constructed with high quality materials and decorated using state of the art technology. 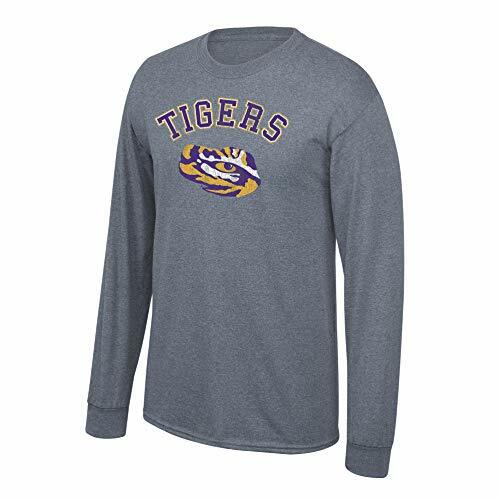 Each LSU Tigers long sleeve Tee is Officially licensed and suitable for any occasion. Represent your Tigers the right way with top of the World, Geaux Tigers. This LSU Tigers Men's hoodie is a must have for any die heart Tigers fan! Top of the World Hoodies are always constructed with high quality materials and decorated using state of the art technology. 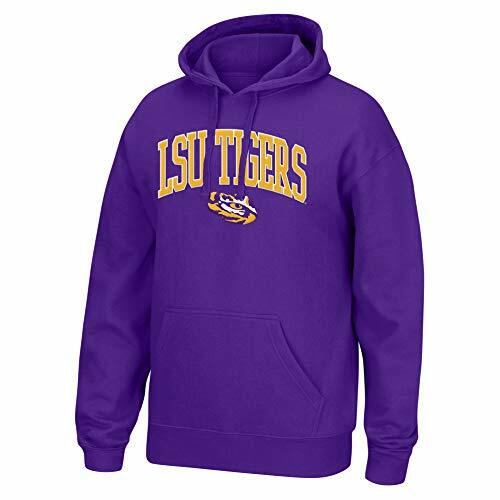 Each LSU Tigers hoodie is Officially licensed and suitable for any occasion. Represent your Tigers the right way with top of the World, Geaux Tigers. The OTS Sueded Short Sleeve Polo is a soft and lightweight polo shirt that can be worn on the golf course or around the office. If you're gearing up for the big game, a tailgate party with friends, or really any time you feel like flexing your team spirit, OTS sportswear will surely fit the bill. The OTS Sueded Polo is a brushed polyester material with suede detail that has a soft hand-feel and a natural drape. It is designed with vibrant detailed high-quality embroidered graphics. OTS has a variety of licensed fanwear essentials -- both timeless and fashion forward designs that every true blue needs. Right fitting hats, super soft tees and proud team graphics. 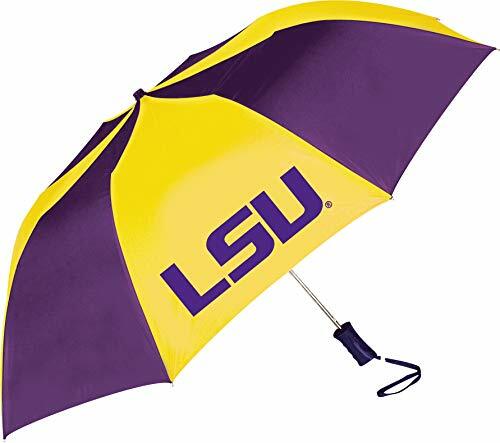 Stay dry and show off your team pride with this LSU Tigers two-tone umbrella. 48" coverage. Folds easily to 17" to fit in backpack or briefcase. Strong automatic shaft. Color-coordinated handle with wrist strap. The OTS Rival Long Sleeve Tee is our time-honored classic t-shirt style, available in a variety of unique designs for all your favorite teams. If you're gearing up for the big game, a tailgate party with friends, or really any time you feel like flexing your team spirit, OTS Rival tees will surely fit the bill. Made with unbelievably soft and lightweight 100% ring-spun combed cotton and featuring large high-quality screen printed graphics, these tees are designed with both comfort and style in mind. Premium quality and construction means your tee will stand up to the daily wear and tear and be a favorite for years to come. OTS has a variety of licensed fanwear essentials -- both timeless and fashion forward designs that every true blue needs. Right fitting hats, super soft tees and proud team graphics. Shopping Results for "Lsu Tailgate Golf"